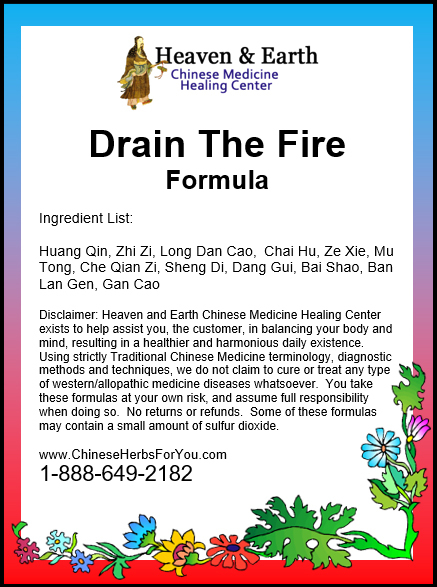 Based on our ongoing commitment in bringing you the most scientifically advanced Chinese Herbal Formulas possible, we are proud to introduce our enhanced version of Long Dan Xie Gan as with our Heaven and Earth CMHC Drain The Fire Formula. 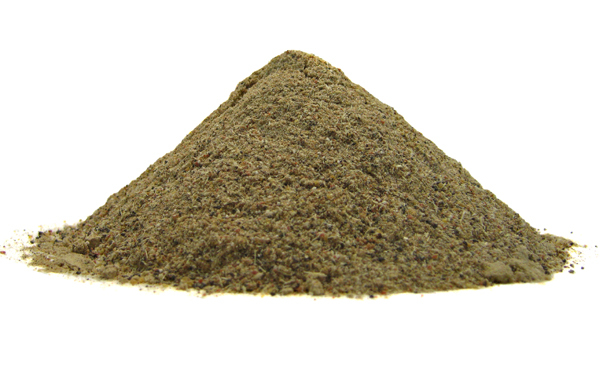 We’ve added Bai Shao to our Drain The Fire Formula to assist with the protection of Yin along with the cooling and strengthening of your Blood. Ban Lan Gen has been added to cool, detox and clear heat and infection. Ban Lan Gen assists with Liver Organ System inflammation, assisting with swollen glands, sore throat and skin conditions and has been carefully selected for our new formula. 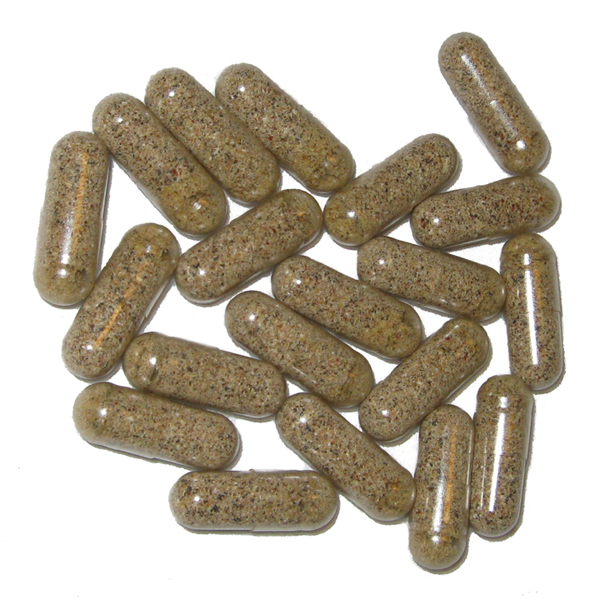 Long Dan Cao is very powerful in clearing Damp Heat and is famous for treating urinary tract infections or any infections in the lower part of your body. Since Long Dan Cao is drying, the original formula has been created with Yin Nourishing Chinese Herbs such as Dang Gui-Angelica Root and Sheng Di Huang-Rhemannia Root. 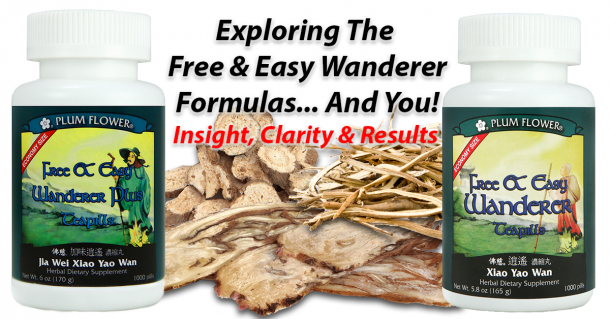 These are two extremely important Chinese Herbs for replenishing Blood and Yin which makes this a very interesting and brilliant way to understand why Chinese Herbal Formulas are so effective with complex Chinese Medicine Patterns. 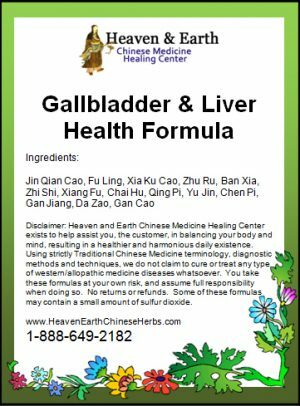 Our scientifically advanced formula works by clearing Damp-Heat from your Liver and Gallbladder Organ Systems. This is especially focused in the lower part area of your body including your bladder and large colon along with cooling Fire from your Liver Organ System. An excessive accumulation of the element of Fire can cause your Shen [Spirit] to not have a place to rest with a resulting irritable, wandering and unsettled Mind. Emotions related to anger, anxiety, and outburst are related to the Chinese Medicine Pattern of Liver Fire including major tension headaches related to the eyes, bright lights, back and side of head [Gallbladder Channel] and neck. Chronic neck and shoulder tension can be related to the Liver and Gallbladder Channels which may be relieved by the use of this formula. By clearing the Fire and replenishing your Yin, your Mind can rest and a body-mind harmony connection can begin to exist. This is very important as it a common cause of insanity [mania] as based on Chinese Medicine Methodologies and could help many people. Our super-powerful, yet safe Drain The Fire Formula can be used as a first strike against all types of herpes. After one or more formulas it can then be followed up by our Liver & Spleen Harmonizer H&E CMHC Free, Easy & Relaxing Formula and a possible constitutional Blood or Yin Tonic such as our: Blood & Chi Power Formula, Abundant Health Formula, Water Of Life Formula Kidney Yin, Forever Youthful Formula and our Blossoming Heart Formula. All of these formulas are very important and you may need them all!! You may also need to return to the Drain The Fire Formula as needed to clear heat, fire poisons… Another extremely useful formula to research is our Cool The Fire Heart & Stomach Formula. 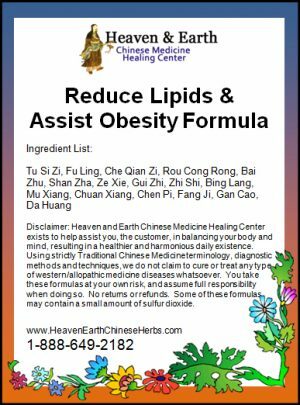 This is a very common, three-tiered Chinese Herbal Regimen strategy that has worked numerous times in changing internal, internal organ system environments in addressing this common health problem. You may also require the assistance of a qualified Chinese Medicinal Herbalist. We have used this approach with great success and feel the importance of sharing it with you. 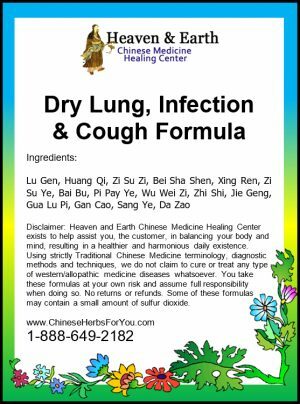 This approach in first clearing heat & dampness and then the long-term use of our H&E CMHC tonifying formulas to build the immune through enhanced Blood, Chi, Yin, and Yang is the true, advanced science of Chinese Herbal Medicine. Liver, Gallbladder, and Heart Fire Patterns that our Drain The Fire Formula may address.